President Akufo-Addo has left Ghana on Friday for a 10-day visit to Togo, the United States of America and Germany. Whilst in Togo, he will resume the mediation efforts he is making in the dialogue, begun on Tuesday with representatives of the Faure Gnassingbé government and the opposition parties. The meeting aimed at finding a lasting solution to the political impasse in that country will again involve representatives of the government of Togo, Union for the Republic Party and the Coalition of 14 opposition parties. 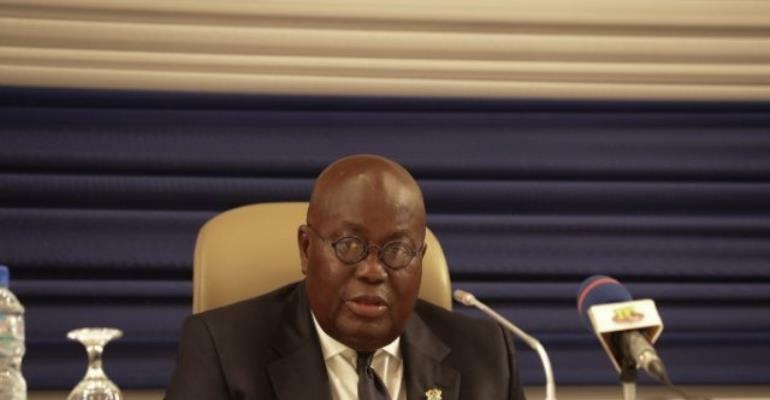 In the U.S. President Akufo-Addo will address the National Governors Association (NGA) Winter Meeting, in Washington, DC. By so doing, he will become the first African leader to address the 50 US Governors at an NGA meeting. The President will also take part in the World Leader’s Forum programme, organised by the American-Israel Public Affairs Committee (AIPAC). In Germany, the President Akufo-Addo will deliver the keynote address at the 5th German-African Economic Forum, in Dortmund, being held under the auspices of the Minister-President of North Rhine-Westphalia, Herr Armin Laschet. He will also deliver the keynote address at the Konrad Adenauer Foundation’s German-Ghana Business Forum. Prior to leaving Germany, President Akufo-Addo will hold bilateral talks with German Chancellor Frau Angela Merkel, aimed at strengthening the ties of co-operation that exists between the two countries. In his absence, the Vice President, Dr Mahamudu Bawumia, shall, in accordance with Article 60(8) of the Constitution, act in his stead. The President is expected back in Ghana on March 5, 2018.